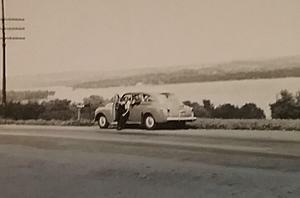 Found a couple of my dad's old pics (dated 1950) that show his first car. 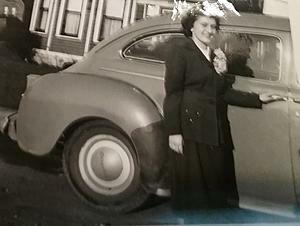 Mom said it was a Chysler and hubcap in pic says Chrysler as well. Any info or guidance on where I might look for old Chrysler car info would be appreciated. That car is a lot older than 1950. The styling looks more like early 1940's or very shortly after WWII. There are some Mopar forums on the internet that might go back that far. Try searching the internet for images of Chryslers for the pre-war years. I believe it's a 46 or 47 Chrysler Windsor. My first car was a 46 New Yorker. 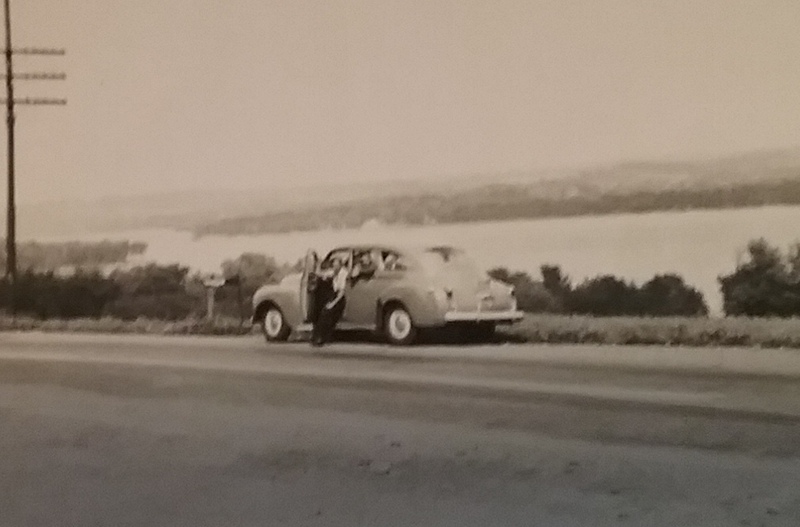 Can anyone identify make/model of this car? Quick Reply: 1950-ish Chrysler - Can Anyone ID Year and Make from Pics ?